What does it mean when a "server accepts all emails" sent? 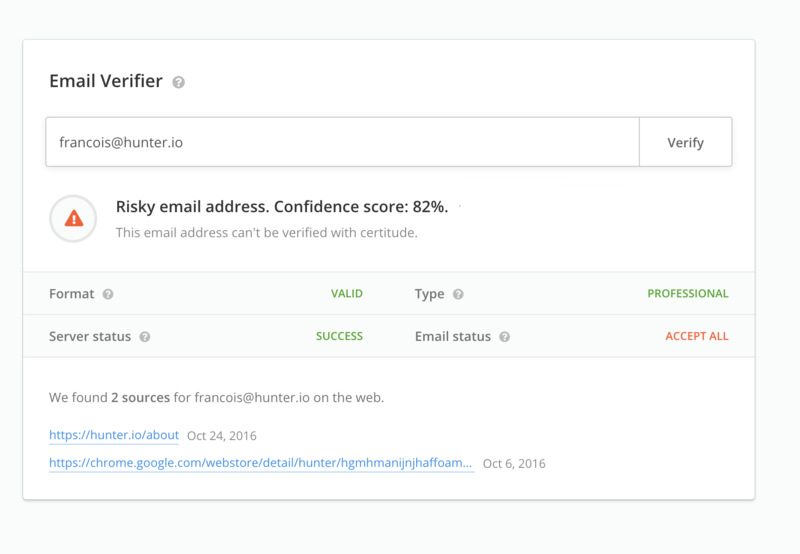 This means that the domain associated with the email is an "accept all" and Hunter cannot verify if the email is currently valid. Accept all domains are domains that are set up to accept all emails and, due to this, we trigger an alert in the verification section. For example, the domain “eight25media.com” is one of these types of domains. So, if we check anything@eight25media.com we will always receive an “OK” response for any mailbox. This is why we cannot be sure the emails associated with them are valid. Accept all domains are the main reason for an email to be tagged as "risky". This means the verification check seems to work, but we have reason to believe the email may not be read by anyone.